Rhenium is a one-woman symphonic gothic metal project from Milton Keynes, UK. The project formed in 2014, is led by Italian multi-instrumentalist Cristina Pucci. Rise Above The Sea is a smashing debut release that incorporates elements of symphonic, gothic and doom metal to create a climatic EP that tickles all my ‘tastebuds’. Opening track Nobody Can Hear Me is a beautiful down tempo piece which draws one in right away with its charming melodies and strong, clear vocals. More Than Words Could Say continues in a similar vein to the previous track. The chorus of strings, keys and guitars builds a haunting atmosphere which is topped by the emotive lyricism and power of Pucci’s vocals. Pucci’s vocals are showcased in the beautiful piano led ballad Watching Over Me – for many female vocal led projects the ballad is make or break for the album, and Pucci nails it. With a rich tapestry of gothic, doom and symphonic elements Rhenium creates a beautifully complex and layered approach for her first release that could rival some of the bigger names in the genre. 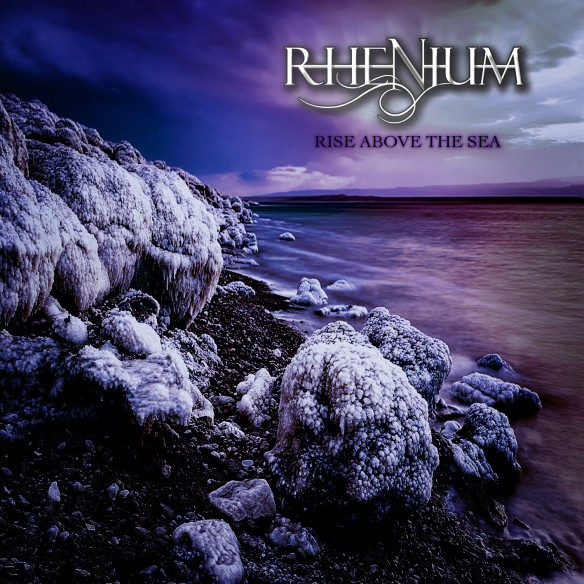 Rise Above The Sea is a beautiful EP and sets the stakes high for Rhenium’s next release, which we hope will come very soon!